A study has shown that each year Southampton reaps £1.29m of benefits from the hundreds of thousands of trees in its city parks and urban spaces. The research, led by the University of Southampton, took into account factors such as climate regulation, air pollution removal, flood protection, provision of wildlife habitats and the benefit of access to green ‘tree’ space on people’s physical and mental health. In collaboration with Southampton City Council, Forest Research (research agency of the Forestry Commission) and social enterprise Treeconomics, the researchers used specialist software to assess the value of the tree population to the city. Southampton has an estimated 267,000 trees, equivalent to one per city resident, or 52 trees per hectare – covering a total of 929 hectares. In 2016, students collected data on urban trees from 414 randomly selected plots across the city, including information on tree species, trunk diameter, height, crown size, condition, shading and land use. The study found that overall there is good diversity of tree types, identifying a total of 103 different species. However, there are large numbers of English oak and sycamore – just exceeding the recommended limit of 10 per cent of any one species per tree population. The report suggests that increasing diversity, by planting a wider variety of trees on new developments, would help combat pests and diseases and help provide adaptability to climate change. It is hoped the overall canopy cover can be increased from 18.5 per cent to 25 per cent. Thirty-one per cent of trees were found to be deciduous (such as oak or beech), 65 per cent coniferous (such as pines or holly) and four per cent both (such as larch). 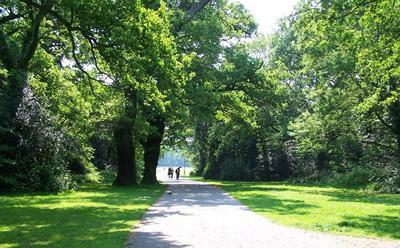 Only nine per cent of Southampton’s trees were in excellent condition – a lower figure than in other survey areas. The researchers suggest assessing the causes of poor tree condition to improve overall health. On environmental matters, the report highlighted that 90,000kg of airborne pollutants are removed by trees each year, worth £534,000 and they store over 100,000 tonnes of carbon. Ninety-five million litres of rain is intercepted and drained by roots, with some of the water either absorbed by the trees or held on their leaves – helping to ease flooding problems. Cabinet Member for Sustainable Living at Southampton City Council, Councillor Christopher Hammond, said: “I welcome this important study and the efforts taken by researchers to clearly articulate the benefits of our city’s trees. Not only do they reduce airborne pollutants, but they make a major contribution to lifelong, lasting health and wellbeing benefits for the city’s population. Large trees, of over 60cm in diameter, are in short supply in Southampton and the study authors recommend that they are preserved wherever possible, particularly on vacant land earmarked for development. The biggest pest and disease threat to species is acute oak decline, oak processionary moth and the fungus giant polypore. It is hoped the study can be repeated in five years’ time to monitor any changes and help manage the urban forest for the future. 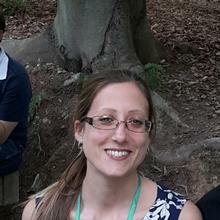 Helen Davies, postgraduate research student at the Centre for Environmental Science, University of Southampton.